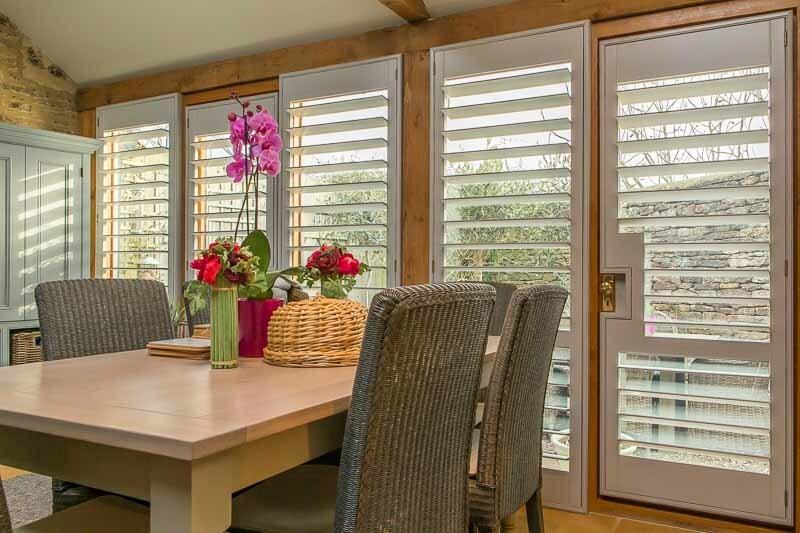 Welcome to Just Shutters, the home of Dorset Plantation Shutters, with the broadest choice of interior shutters in the UK (including exclusive ranges). We are delighted you have found us on your journey to discover the finest Plantation Shutters at great prices. What is more, we offer the very best service and our shutters come with a lifetime guarantee. Please call us on 01202 240769 for more information. 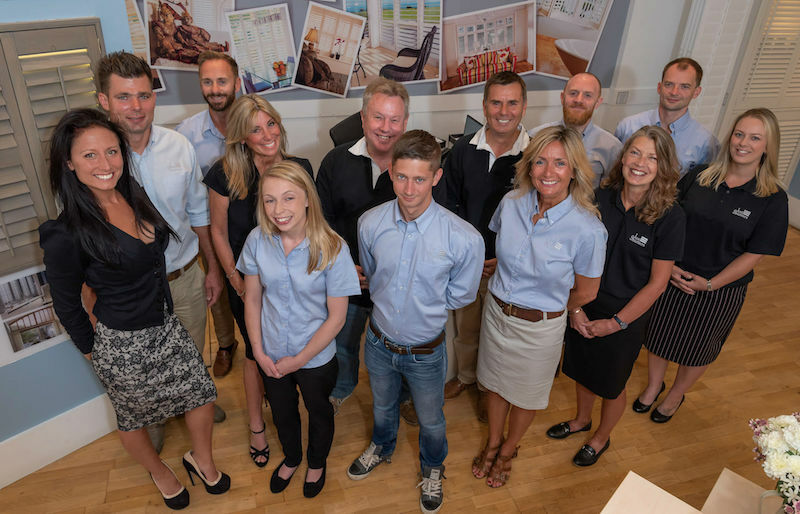 Born in Southbourne, Dorset, conceived by Founder and shutter expert Chris Rocker (pictured Right with his team), Just Shutters grew out of a passion for beautiful interior shutters and a quest for excellence. You can now find a Just Shutters expert in over 165 towns and cities across the UK. However, we have kept true to our roots and our Dorset family heritage. You can still find us in Southbourne Grove, just 1/4 mile from where we began. Covering the whole of the County and beyond, Just Shutters promise to be the experts in beautiful Dorset Plantation Shutters. We will listen and advise and create the perfect solution for you at a great price. – Energy efficiency – shutters add an insulating layer to your home. – Shutters are child safe. – Shutters are low maintenance. Easy to clean, and hardwearing. – Perfect ambience control. Shutters control the lighting in all situations. – Shutters reduce allergens, they don’t hold spores, moulds or mildews like fabrics and untreated wood. – Noise reducing! Shutters reduce overall noise pollution in your home. – They offer both privacy and also security. – Shutters are prefect for use in all environments throughout the home. They are even perfect for humid kitchens or bathrooms. – Shutters are a fixture and add value to your home. – They do not warp, bleach or split like other window coverings can. – They suit your style! Bespoke and made to measure so fit all shapes and sizes perfectly. – Our shutters even come with a lifetime guarantee. And of course shutters are beautiful and add a timeless elegance to any room. With the widest choice available you can chose to be as chic or as bold as your imagination – browse our photo galleries to get inspired! We are the specialists. We do not do shutters as a product line or afterthought, they are our craft. This is reflected in all we do. With over 8000 happy customers and a 9.9/10 score on checkatrade, we would love to welcome you among them. PS. we are working on the 0.1% Please call us on 01202 240769 or follow the links to contact us online. We are immensely proud of the feedback we receive from our customers, below are some excellent testimonials! To read more, visit Checkatrade to read over 1600 positive reviews. Shutters fitted to kitchen bay windows.